Click on the image and watch the animated map of the Battle of Chickamauga, produced by Wide Awake Films. Learn more about this important Civil War battle in Georgia. Army Navy Football Rivalry–learn the history of the pageantry and honor that has always been a part of this epic event. This blog is one of the winners of the Editors Choice for 2013 on WordPress.com. I’ll let it speak for itself. Enjoy. Rod Deaton is a psychiatrist with an extensive background working with military troops and combat veterans. His blog, Paving the Road Back,offers a glimpse into the work he does, as well as the lives of the brave men and women who served the US military. Always crafted with care, his stories are poignant, like this post on “Ethan,” who became hooked on opiates after suffering a traumatic brain injury while serving in the Middle East. With the permission of his family, I report, with much sadness, that another young veteran whom I have had the honor to serve died this past week. The cause of his death remains unclear, but all agree that it was not self-inflicted, and it does appear that he died suddenly and without suffering. Ethan (not his real name) first came to my office a couple years ago. He was not in good shape. He had suffered a significant traumatic brain injury (TBI) from an IED (improvised explosive device) explosion while having served in the Middle East, and he had subsequently become hooked on opiates (painkillers). When I first met him, he was gaunt of body and of gaze. 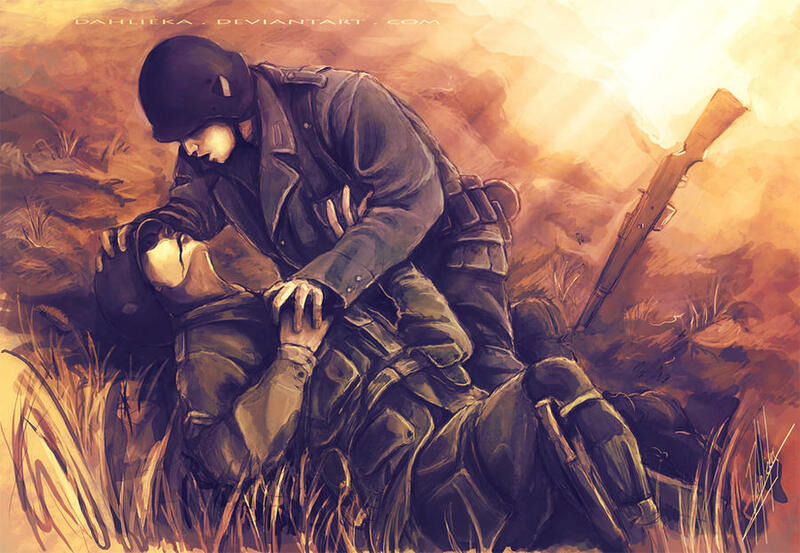 He had the distractibility that I have often seen in veterans who are struggling with the consequences of TBI, but his had a desperate edge to it, an irritation that appeared to be heading nowhere, targeting no one in particular. After six months of basic training–Today including an emergency leave to see his beloved mother, Gladys, before she died in August 1958–Presley sailed to Europe on the USS General Randall. For the next 18 months, he served in Company D, 32nd Tank Battalion, 3rd Armor Corps in Friedberg, Germany, where he attained the rank of sergeant. For the rest of his service, he shared an off-base residence with his father, grandmother and some Memphis friends. After working during the day, Presley returned home at night to host frequent parties and impromptu jam sessions. At one of these, an army buddy of Presley’s introduced him to 14-year-old Priscilla Beaulieu, whom Elvis would marry some years later. Meanwhile, Presley’s manager, Colonel Tom Parker, continued to release singles recorded before his departure, keeping the money rolling in and his most famous client fresh in the public’s mind. 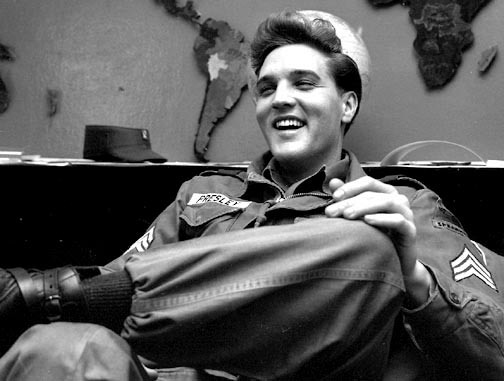 Widely praised for not seeking to avoid the draft or serve domestically, Presley was seen as a model for all young Americans. After he got his polio shot from an army doctor on national TV, vaccine rates among the American population shot from 2 percent to 85 percent by the time of his discharge on March 2, 1960.